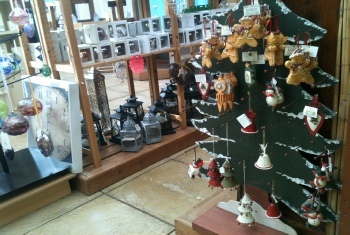 All stock on display is regularly updated and will change with the seasons. 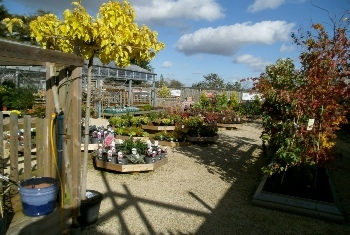 Farnborough Garden Centre is a traditional garden centre which focuses on providing an extensive range of quality plants & excellent customer service. Many of the plants on sale are grown in the on site Nursery. The Garden Centre grew alongside the Horticultural Nursery in the 1960's & has developed constantly as the Retail Gardening Market has changed over the ensuing years. 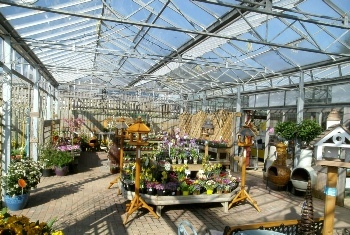 Large, open & covered display areas offer ideas & inspiration for your Garden and Home. 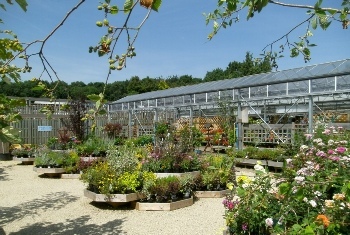 The Garden Centre normally stocks a wide range of Trees, Shrubs, Conifers, Climbers & Perennials, together with Roses, Herbaceous plants & alpines. Many other bedding plants and vegetables are available in season. Plants in stock include less common or more unusual varieties that might not be available locally elsewhere. Our Garden and Home sundries/gift areas also carry a wide range of items including a huge selection of Terrocotta/Glazed earthenware pottery, Garden Ornaments, Tools, Chemicals, Composts, Plants Foods, and Giftware etc. Many of the plants on sale are grown on site including ornamental trees, semi mature specimens, together with an extensive range of seasonal bedding plants, patio plants, and vegetables etc. The staff are proud to offer excellent customer service; drawing on knowledge gained from training & qualifications and many years of experience. The Winter months see displays of shrubs & Trees that provide winter colour together with spring flowering bulbs, winter pansies, violas, primroses, and cyclamen. Hedging plants are available for immediate planting together with new selections of containerised roses. Seed potatoes appear on sale midway through this period as do a range of starter plants and seedlings, together with new selections of roses. Wild Birdcare products, feeds and feeders, together with wildlife care items are in great demand. Spring emerges from Winter with the arrival of Summer Flowering Bulbs, Sweet Peas, and a wide range of Vegetable Plants. As the season develops Summer Bedding, Tub and Basket plants, Patio Plants, and Hanging Baskets take centre stage. The Range of Herbaceous plants, Alpines, Hostas, Ferns & Grasses increases rapidly as does the display of Spring Flowering Shrub and Trees, Roses, Japanese Acers, Climbers, and Conifers. Composts, Pottery, Garden Ornaments, Garden Sundries, and Chemicals are always available. The season flows gently from Spring to Summer with the continuing availability of a full range of Summer Bedding Plants etc. Herbaceous Plants etc are in demand as are Herbs, Lavenders, Dahlias, Garden Pinks, and Splash Flowering Summer Plants. The selection of Aquatic Plants is at its best and Japanese Acers look fantastic. Displays of Garden Ornaments, Pottery and Stoneware, are full along with Arches, Obelisks, Screening and a small range of Garden Furniture. Autumn heralds a new phase in the Garden with the arrival of Autumn Bedding, Pansies, Violas, Primroses, and Wallflowers. The Autumn colours on Trees & Shrubs, Acers, Liquidambar & Amelanchers, look fantastic. Fruit Trees look outstanding as do Roses and Conifers. The new season range of Seeds and Onion sets, and the first of the Spring Flowering Bulbs arrive along with the Wildlife and Birdcare products. Manures and Soil Care products come to the fore together with wasp & rodent deterrents. Christmas. That time when activities in the garden slow down & thoughts turn to the seasonal festivities. 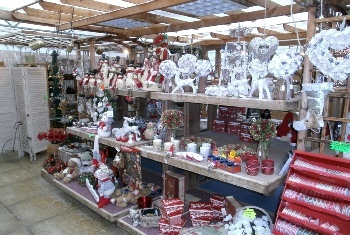 Our range of seasonal decorations and Giftware begins to appear in early October and develops quickly. The main displays of Christmas Trees, Holly Wreaths, Door Swags, and Planted Bowls etc, commence in late November and continue right up to Christmas Eve. Our range of general gift and homeware normally increases at this time also. The Garden Centre closes to the public for a winter break between Christmas Day and New Years Day.